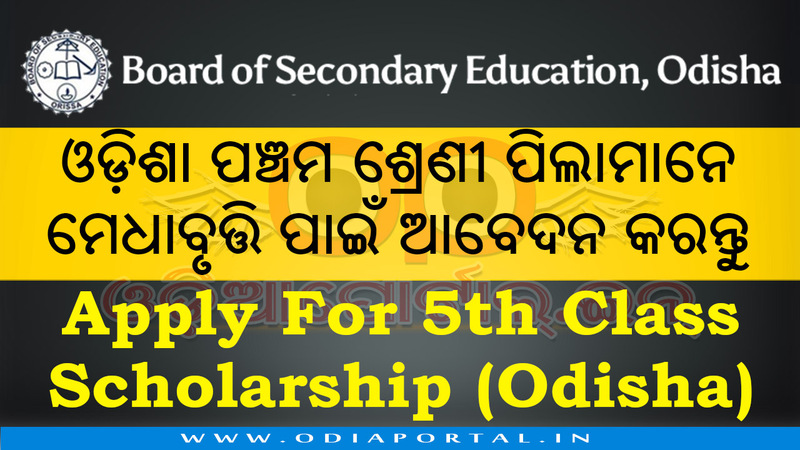 Board of Secondary Education, Odisha has issued notification and details about applying Scholarship for the year 2017 for Primary school 5th Class students. Interested candidates / Parent /Guardians can contact Head Master of your school for registering your/your children's details. You can register before 15th July, 2017. The school authority will take necessary action after 15th of July for the scholarship process and will inform students if they selected for scholarship merit list. Best of Luck.